We look forward to helping you throughout your application process. Thank you for your interest in Castilleja. Please explore our Admission webpages to learn more about the application process and fall admission events. The application for the 2020-21 school year along with registration for fall admission events will be available September 1, 2019. We look forward to meeting you! Castilleja is one of the many San Francisco Bay Area independent schools using a web-based application called Ravenna for the submission of online applications. Recommendation letters will be conveniently shared across multiple school applications. Within Ravenna, you will be able to read detailed application steps, download admission forms, register for admissions events, electronically request teacher and principal/counselor recommendations, submit your application online, and track your application progress. 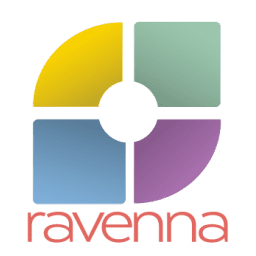 Create your free Ravenna Hub account here. Visiting campus is the best way for you to get to know us. Open House programs offer families an opportunity to see Castilleja and hear from our students and faculty. Admission Office staff will be available to answer any questions you might have regarding admission and our Tuition Assistance program. Póngase en contacto con Marlyn Negron al 650.470.7733 para registrarse para un tour en español. Campus Visits give girls a chance to spend a day on campus. Hosted by a Castilleja student, it is a great opportunity for your daughter to meet students, visit classes, eat lunch, explore the campus, and have fun! Campus Visits will be offered from late September-mid December. Applicants for 6th grade will also participate in a group activity session on the day of the Campus Visit. Castilleja requires standardized testing as part of our admission process in order to gain a better understanding of each applicant. We receive applications from many schools with a variety of academic programs, and test results provide a common denominator. Test results are just one of many factors we consider when evaluating an application and are by no means the only measure of a student’s capabilities. This information is used along with other application materials when making admission decisions. The Admission Committee values many personal qualities that are not gleaned from multiple-choice tests. These include creativity, humor, motivation, patience, perseverance, and compassion, to name a few. ISEE: Will be offered at Castilleja on December 7, 2019 and January 4, 2020. If a student is unable to test at Castilleja on one of these two dates, she may take the exam at another test site. Please contact ERB for test sites and dates. SSAT and PSAT are not offered at Castilleja. ISEE: Register for the exam at www.erblearn.org/parents. Castilleja's school code is 052330. SSAT: Register for the exam at www.ssat.org. Castilleja's school code is 2152. TIP! Register for the ISEE test as early as possible in order to secure your first choice test date. The ISEE may be taken at any testing location. If you need a fee waiver to cover the cost of the ISEE or SSAT, please contact Laura Martinez at 650.470.7732. Deliver the Transcript Release and Confidentiality Form to your daughter's current school. You will need transcripts for the past academic year and the first grading period of the current academic year. The Transcript Release and Confidentiality Form can be downloaded from your Ravenna account. For Middle School applicants, recommendations are required from the current Core/Language Arts teacher, prior year Core/Language Arts teacher, and Principal/Counselor. For Upper School applicants, recommendations are required from the current Math and English teachers and Principal/Counselor. You will find the necessary link to request recommendation forms on your Ravenna account. TIP! It is best to wait until the school year is underway (mid-November) before asking for recommendations so teachers and counselors will have ample opportunity to get to know your daughter. We encourage families who can not afford the full cost of tuition to apply for Tuition Assistance. Applications for Tuition Assistance have no bearing on whether or not an applicant is admitted and all inquiries are kept confidential. If you are interested in applying for need-based tuition assistance, more information can be found here. Submit your application through Ravenna by January 9, 2020. Para información en Español contactar Marlyn Negron, 650-470-7733.